Home AC & Ventilation The Future of HVAC is AI and IIoT/IoT? The Future of HVAC is AI and IIoT/IoT? HVAC controls have existed for a while. The first thermostat was patented in 1883! In the past era classrooms were heated by hot air furnaces operating in the basement of the building. School custodians controlled the heat through handoperated dampers based on periodic assessments of the classroom temperature. The technology for automated room temperature control has existed for 135 years! Has much changed in the basic temperature control architecture during that span of time? Sadly, we could say, not really. Even today, data from a single temperature sensor controls the actuation of most HVAC units in homes. “Smart” thermostats represent a very recent innovation, at least compared to the 135-year history. What makes a thermostat “smart”? Programmable schedules and vacation modes? No. Internet connectivity? Not enough. In one definition, “smart” thermostats must have more than two-way communication based on specially designed “algorithms”. The decoupling of the “algorithms” from the on-site thermostat control allows us to visualise the interplay between Artificial Intelligence (AI) and Internet of Things (IoT). Assume, for example, that a thermostat (basic or “smart”) exists in a home. 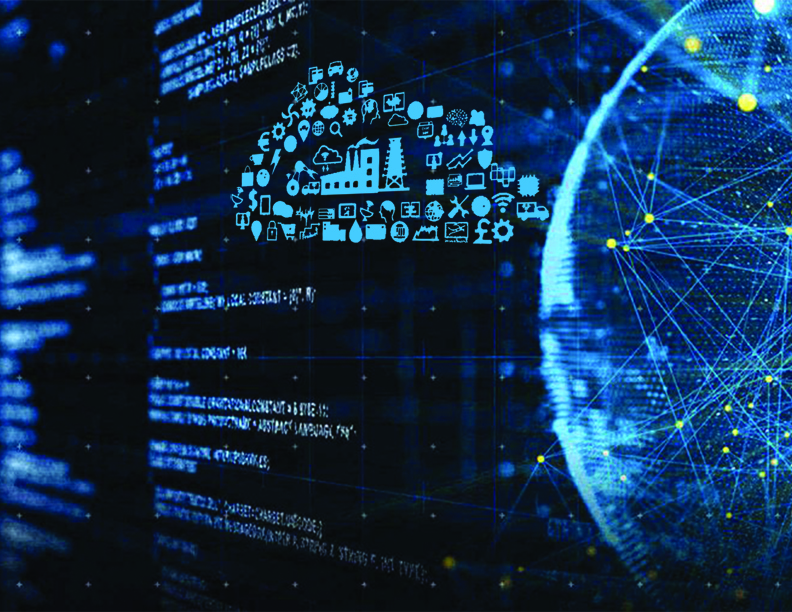 Regardless of the actual thermostat capabilities, a Cloud-based AI analytics engine can implement HVAC “algorithms” in a third-party application layer. Let’s take this inquiry further. Would the existence of IoT sensors lead to the development of AI analytics engines? Or, would the existence of AI analytics engines lead to the installation of IoT sensors? Many companies have placed their bets on this question. Certainly, the investment community has weighed in as well. It isn’t quite a chicken and an egg problem, but it does reveal the interplay between AI and IoT. Under this theory, the existence of IoT data would lead the way for AI. Regardless of the theory, IoT represents a key technology building block. IoT is necessary, but not sufficient. Let’s find out how the relative industries of AI and IoT will play out. 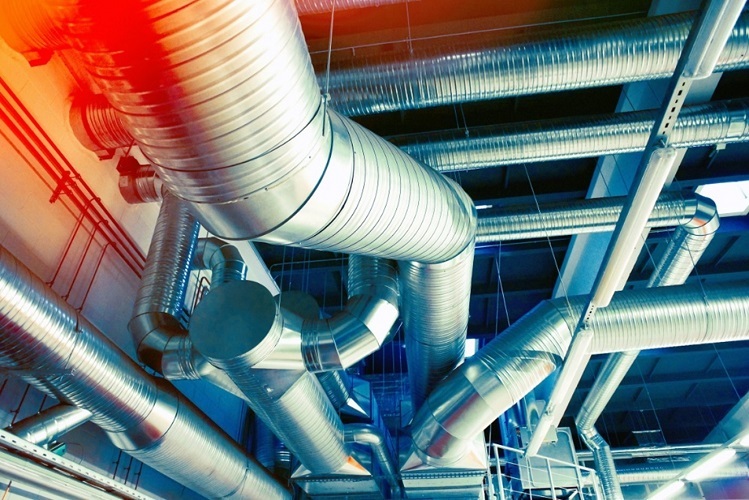 AI technology is having an impact within the HVAC industry. Technologies that will affect these areas include expert systems, neural networks, intelligent computer aided design (ICAD), fuzzy logic and artificial reality. Expert systems are computer programs that mimic a human expert. Neural networks are computer programs that are designed to operate the way neurons operate in humans. Fuzzy logic is useful when the correct response is somewhere between a yes or no because it can represent concepts such as almost, all, most and others. Artificial reality is a technology that allows users to project themselves into a computer generated 3-D simulation. These technologies will be designed into HVAC field applications in the next few years as computer processor power increases and hardware costs drop. Across the broader economy, there continues to be concern that advanced automation technologies will destroy jobs. Now, productivity continues to rise while wages are stagnant. Many believe technology and automation are to blame. Three of these positions have shown healthy growth in employment over the past 15 years. The number of HVAC mechanics and installers has increased from 197,930 in 2000 to 294,730 in 2016, a growth rate of 2.5 per cent per year. Security and fire installation employment, a much smaller employment group, has grown more significantly, from 38,810 in 2000 to 67,700 in 2016 (a growth rate of 3.5 per cent per year). Employment in construction and building inspection also has grown over this time, from 68,690 to 94,960 (a growth rate of 2 per cent per year). At the same time, there has been a slight decline in HVAC maintenance, from 59.8 per cent to 57.2 per cent. With around 5.5 million commercial buildings in the U.S., a 2.6 per cent decline means that many buildings no longer conduct routine maintenance. That alone should lead to a reduction in total HVAC employment, because it is a very manual service- and human-driven job. However, the exact opposite is happening: There are many more HVAC installers and maintainers. Reports state that more buildings are cooling their floor space: The per centage of space that is not cooled has dropped from 23.6 per cent in 1999 to 19.7 per cent in 2012. And, the per centage of space that has 100 per cent of the floor cooled has increased from 38.6 per cent to 43 per cent. Overall, it seems that the increase in HVAC penetration and the increase in BAS penetration are driving higher employment, while the reduction in HVAC maintenance may be due to more reliable equipment that requires less ongoing service. The report also notes that while some tasks will be automated, others will simply become more analytical or change in other ways. It’s safe to assume that with the substantial increase in data from buildings, many of the roles operating and maintaining them will become more data-driven. Moreover, the International Facility Management Association and Royal Institution of Chartered Surveyors released last year the third edition of a report focusing on the talent gap in facility management. The high-level findings are that the industry needs an influx of young, new talent (more RICS members are over 70 than under 30). Facility management employment continues to grow, as does demand for advanced technology in buildings. A recent study commissioned by Dell and Intel found that 44 per cent of employees think their office is not smart enough, and 57 per cent believe that within five years, they will be working in a smart office. Dell and Intel include an IoT-enabled workplace in their definition of a smart office. Heating, venting and air-conditioning may not be a rosy application of artificial intelligence, but there is huge cost-saving potential in using AI in HVAC. AI seems to be everywhere. It’s been tested and has proven efficient by using AI to play backgammon, chess, the game of Go and even Atari games. In some ways, AI is catching up and overtaking us. One AI application that may not sound rosy, but where there is huge potential to apply AI is the field of HVAC – that’s right heating, venting and air-conditioning. HVAC systems are underappreciated technologies. They fall into the category of technology that a person uses every day and would hate to live without. The goal to creating an HVAC simulation and eventually applying AI is to reduce the amount of energy used, the cost of energy and peak demand – the period in which energy is expected to be consumed at significantly higher than average rate. Depending on the local utility, the price of energy for commercial buildings changes depending on time of day and season. Times of peak demand are often the most expensive times to use energy and occur during the hottest hours of the day – when HVAC is needed the most. Some utilities also use a building’s highest peak in energy usage to set rates and apply costly demand fees. The capability to optimise the amount of energy used, the amount spent on energy and energy used during times of peak demands will greatly impact operating costs. Like riding a bicycle, controlling room temperature is almost similar to controlling speed when riding a bicycle. Considering the simple thermal model presented here, the dynamic equations of the two problems are almost identical. This room temperature “comfort range” is very different from the “dead band” commonly implemented in VAV boxes. The VAV box is the centrepiece of a Variable Air Volume (VAV) system that changes the air flow rate based on the local room temperature and, usually, a pair of setpoints. The “dead band” prevents the VAV damper from actuating all the time. A smart control algorithm can actively optimise the room temperature setpoint within the comfort range, but the actual room temperature is still free to wander within the “dead band” cantered at the optimised setpoint at any point in time. Energy saving can be achieved by widening the “dead band”, but without optimisation, the room temperature may go against the thermodynamics of the room wasting energy overcooling or overheating. This is the equivalent of trying to ride the bicycle slower going downhill, but faster going uphill. 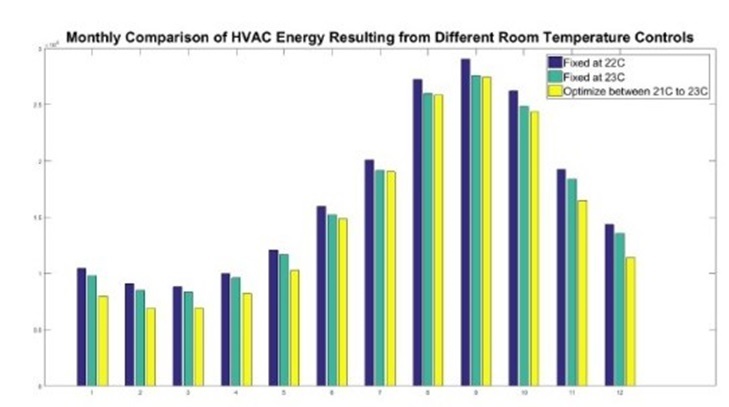 Results from the simulation shows that room temperature optimisation has a great potential to improve HVAC efficiency. The simulation period is a whole year and the following three-room temperature control strategies are compared with each other. Optimise between 21-degree C (69.8-degree F) to 23-degree C (73.4-degree F). Figure 2: Monthly comparison of HVAC energy of a simulation over a whole year. The above graph shows the results of the simulations using three different control strategies. With optimisation, the monthly HVAC energy savings range from 5 per cent to 24 per cent from month to month. The greatest savings are achieved when the building requires some heating and some cooling on the same day. This is to be expected. As the smart control is put to work, some heating is reduced in the morning and hence there is less of a need for cooling later in the day – just like riding a bicycle. SAT/SAP optimisation also contributes to energy saving but it is not necessary for room temperature optimisation to work in a variable air volume system. This is equivalent to changing gears on the bicycle: even without changing gears, we can still optimise our speed based on terrain. The system also warns if target temperatures for heating or cooling are not achieved in a specific time frame. The key to reducing costly HVAC repairs comes from knowing when those systems are performing inefficiently. Something as simple as low refrigerant levels in an AC system can lead to repairs or replacements costing several thousand dollars – not to mention the wasted electricity. This monthly subscription microservice can potentially save consumers big money on repair and energy costs, while functioning quietly in the background of their lives with 24-hour protection. AI will play a large role in the era of Big Data. There is no doubt because the future of HVAC reveals AI and IoT. The debate about IoT market strategies will continue because of the expansive, even wild projections for the IoT market. Unfortunately, hype leads to myth, and myth leads to confusion. Moving forward means taking a step back to look for clues about how the IoT market could evolve. The future of AI in buildings is bright, but humans will always be needed to properly utilise and direct the technology. There is, however, a complex technological side to commercial buildings—from the software platforms that control elevators to smart lighting—that is often overlooked. It is these features that underscore how commercial buildings can benefit from disruptive technologies like AI. This has created a prime opportunity to apply AI to turn data into actionable information. Without AI, the combing of data from a building is either time-consuming or deemed useless information. As AI continues to infiltrate the market, below are three ways in which it can be used to make buildings smarter. When it comes to reducing energy consumption, buildings are reliant on after-the-fact reporting, essentially analysing what energy was used and then implementing a change in the hope that less energy will be used next time. Let’s use the optimisation of heating and cooling within a building as an example. Pedalling creates a force that pushes the bicycle forward. There is also friction, gravity, and other forces working to slow the rider down. The bicycle travels at a constant speed when forces used to propel the bicycle forward are in equilibrium with the forces acting to slow it down. However, other thermal loads such as human activity, solar radiation, and heat from electronics increase room temperature. When these loads add up to zero, the room temperature is fixed. In addition to optimising day-to-day operations, AI and machine learning can be relied upon for fault detection. AI techniques are well-suited in learning the relationship between input and output variables using only data, without mathematical models. This technology can excel at analysing data from various systems and IoT devices within a building to identify anomalies and inconsistencies. After identifying these symptoms, AI can be used to target a diagnosis. It’s also important to note the limits of AI. While at its core, fault detection is a technical problem – that AI can help expedite – human intuition and expertise is still needed. In an ideal world, data anomalies would be automatically detected by AI-algorithms, and then immediately triaged and to identify the root cause. However, within a building there is a deeper issue of resource constraint. There are often a lot more subtle and qualitative aspects to detection issues that require a person to filter. Cost, ROI, and available funds must be considered from a budget perspective. There could be 10 -20 items on a list that have good ROI and comfort impact, but AI is not going to know that a room needs to be operating for an upcoming event or that a department is out of town, so prioritising that section of a building won’t cause a disruption. For these reasons, the combination of AI within a building, paired with a national operations centre (NOC) to filter the qualitative needs of clients is the best strategy for resource-constrained facilities. Using AI to optimise building operations and prevent faults will inherently create a more comfortable environment for tenants. Companies are actively racing to find the best ways to personalise comfort for individuals within a shared workplace. While there is no clear-cut path to how this will develop in the future, it is certain that humans act as the ultimate sensor within a building. Thus, integration of mobile apps – and perhaps wearables – will likely have a large role in the way tenants interact with buildings. This is an early concept, and it is still unknown what this might uncover or in what way it will impact how smart buildings are operated. The goal of any smart building is to create a better experience for those within it, which makes tenant feedback vital. The future of AI in buildings is bright but human expertise will always be needed to properly utilise and direct the technology. 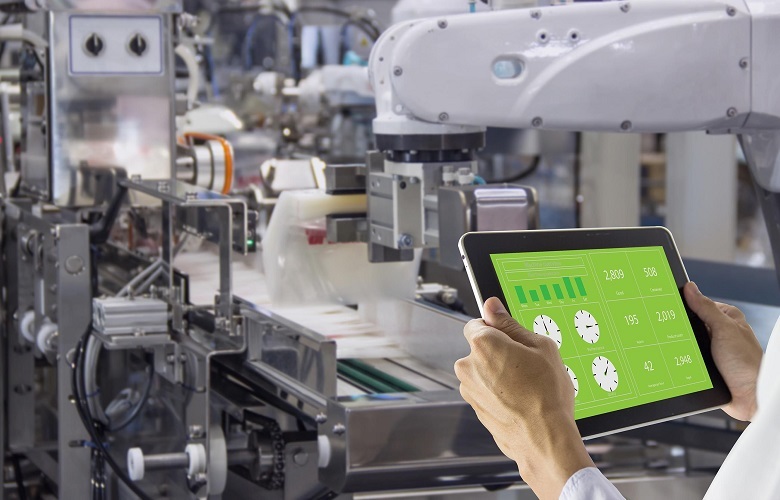 The building space has been traditionally slow to adopt new technologies but embracing AI-based solutions is inevitable as it capitalises on the boom in the adoption of IoT-driven devices within facilities. What if buildings owners could see exactly how their building is being used at any given time? What if they knew how many people are using each room? How much energy is being consumed through heating, air conditioning or lighting? The condition of the drainage system, electrical equipment and elevators? With AI, data from IoT devices, and occupant behaviour, this information becomes available to us. Digital devices, beacons and even social media statuses give insights into every aspect of a building’s condition and operation. This can span from infrastructure, climate, water and energy use, to an individual occupant’s experience. Moreover, smart buildings can use this information to automate building systems, to respond to changing external and internal factors. Because of this, intelligent buildings have the potential to increase operational efficiency, improve occupant experience, and optimise space and asset use. Access and security: connected cameras, instrumented perimeter doors and floor occupancy data help keep your building secure Real-time data from sensors and IoT devices within the building’s assets and infrastructure is the cornerstone of intelligent building management. Once we collect this information, we can cross-reference it with benchmark data and conduct analysis to identify operational improvements. For example, water flow sensors could trigger an alert when water pressure exceeded normal operating limits. Analytics and artificial intelligence also allow building owners to significantly cut energy consumption and reduce operating costs. When sensor-data from the building itself is combined with external data sources, the potential for increased efficiency grows even more. For example, by combining heating and cooling data from the building with Weather Company forecasts, a connected HVAC system can offer more efficient heating and cooling. Which areas will bring the most return on investment quickly? What opportunities do I have to drive down operation costs and improve workplace experiences? In which situations can my buildings operate and manage themselves? Optimise maintenance by using predictive analytics to expose faults and determine their cause and impact. Automate device responses to handle this process proactively. Integrate sensors, devices and data to make more informed energy decisions. Enhance the occupant experience by introducing workstation availability apps with sensor and beacon devices to help occupants locate available space. Within a couple of years, smart building technology delivers greater returns in terms of energy saving and cutting operational costs against what you invest. Technologies like AI and IoT once deployed require minimal to no technical skills for facility managers as it takes a lot of decisions itself and shows you all the reports and suggestions in a highly intuitive and interactive dashboard. In fact, it becomes easier than before to optimise building operations, resolve a recurring equipment malfunction, and reduce carbon footprint since more information is available with a smart building solution. While the features of smart building and green building may overlap, they both are not identical concepts. Smart building solutions focus on monitoring heating, air conditioning, lighting and other systems to derive usage patterns and take predictive actions to optimise usage and save energy. A smart building solution, also known as connected buildings also focus on improving the experience and comfort of those within a building. On the other hand, green buildings are sustainable buildings that have a minimal impact on the environment, which help us to preserve most of the natural environment around the building. LEED is one of the most widely known green building rating systems, which provides a framework to build highly efficient and cost-saving green buildings. In case of green buildings, the construction and operation promote a healthy environment across different areas like water, land, energy and other resources. No, that’s not the case. Even though old buildings may be using pneumatic and analog technologies, smart building solutions can be implemented in old buildings through the use of effective retrofit technologies. 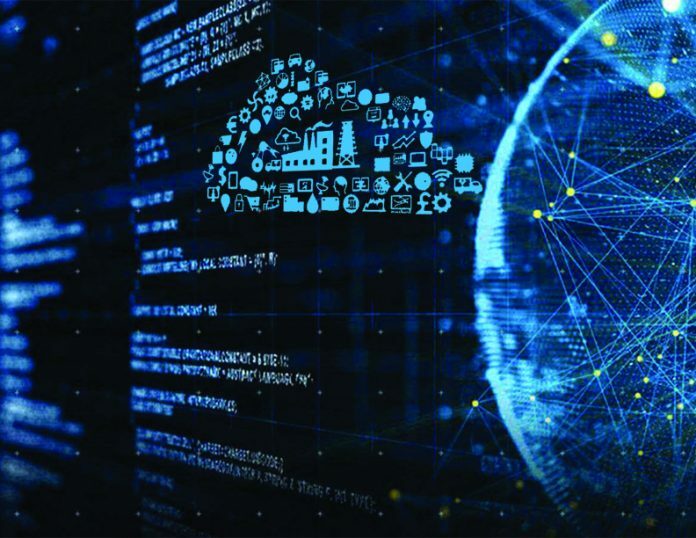 By embedding sensors and connecting via gateways, data can be sent to the IoT cloud for further processing and to generate intelligence. There are a number of smart home applications based on IoT and AI; however, it is not limited to residential facilities only. All types of buildings – be it commercial or residential – can be retrofitted or built to become smart and highly automated using IoT and AI. To achieve a low carbon economy, it is important that we adopt new technologies and make every possible move to make the world a better place. Smart buildings are definitely one of the ways to conserve energy by optimising systems and automating controls. If you have any questions about smart buildings, please feel free to get in touch.